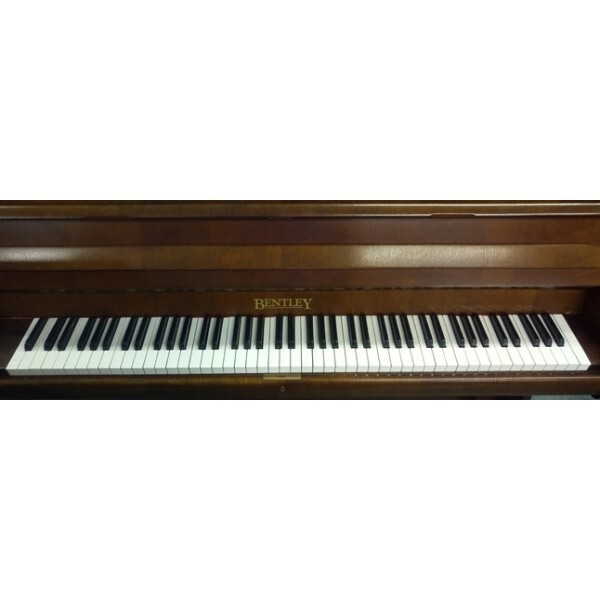 Pre-owned upright piano by Bentley finished in mahogany polish. A fantastic, compact acoustic piano perfect for beginners. This piano is also available for long-term rental at the rate of £10.00 per week. This piano is currently out on long term rental. 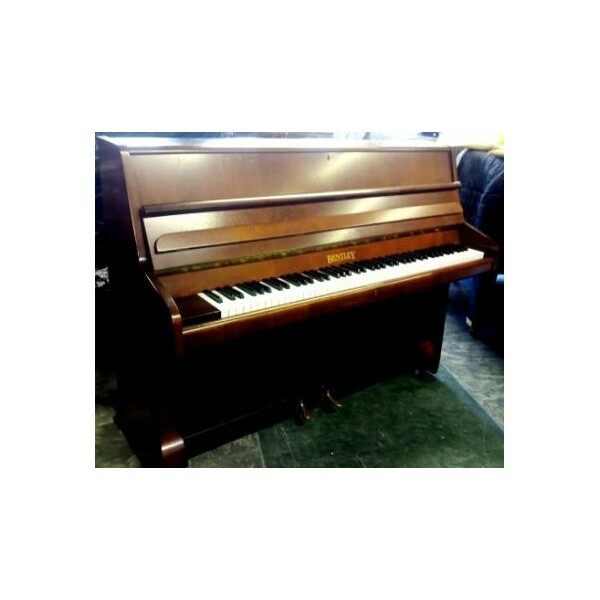 If you are interested in something similar please do get in contact - we always have a good selection of pre-owned and new pianos available for purchase or rental. 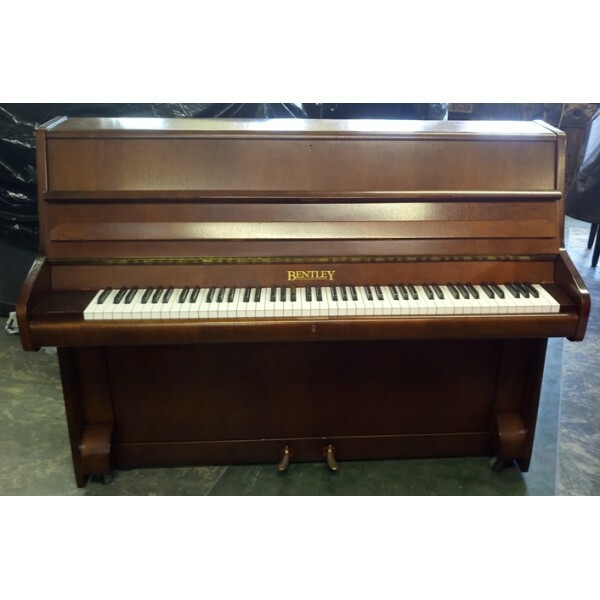 This English-made Bentley upright piano dates from 1972 and features a classic 70's case styling. The piano has aged well and is still a good value for its price for entry-level pianists. we are definitely worth a visit!